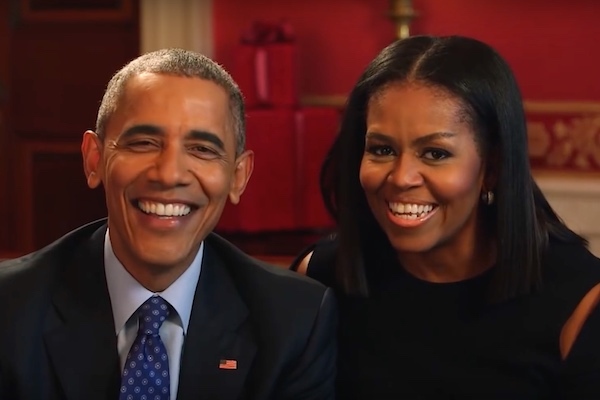 Barack and Michelle Obama might tackle the Trump administration for their first Netflix project. Deadline reports that the former president and first lady have acquired the rights to “The Fifth Risk” by Michael Lewis under their new Netflix production deal. The nonfiction book chronicles the “chaotic” transition in the Departments of Energy, Agriculture and Commerce from the Obama administration to the Trump administration. While the book has been optioned, the project has not officially gotten the green light. Other possible projects are also in consideration.